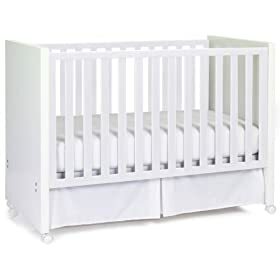 Save 75% on A Modern White Crib! Get it for $99, Free Shipping! The Baba Italia Scandi convertible crib WAS $399, NOW it's just $99 with free shipping! This is the lowest price I've seen for a modern-style white crib. I can imagine all sorts of ways to decorate around it!